Growing up in the 70s in Michigan was a blast! My sisters and I practically lived outside. But on occasion, like when 12 feet of blowing snow leaned against the front door of our brick ranch home, we relied on board games like Clue and Trouble to entertain us for hours on end. And then there were those days when Mom and Dad left us home for a bit and we had the house all to ourselves. Those were the times when we would make the best stuff up. Like this one crazy game of hide-and-seek mixed with tag. 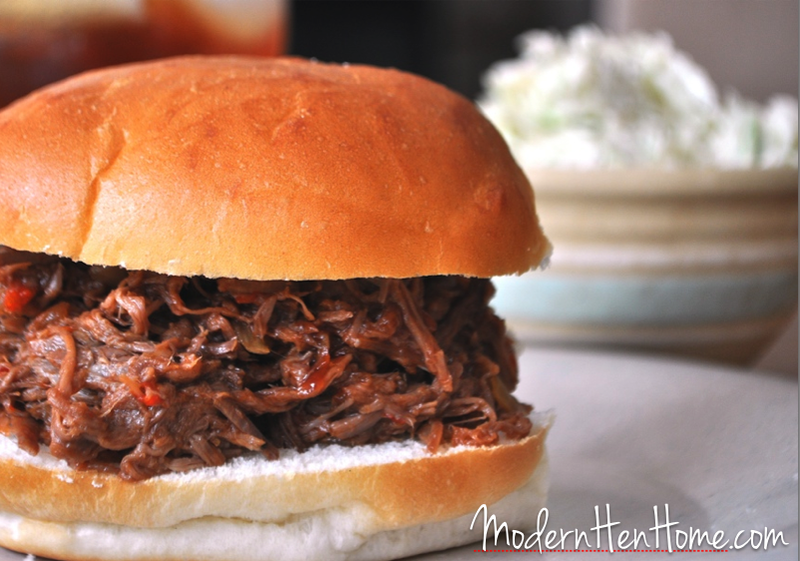 Barbecue beef sandwiches are a favorite with everyone in our home because they’re convenient to make and incredibly good tasting. Cooking the roast slowly in a crock-pot is an easy way to prepare dinner of course, and the beef turns out tender, succulent and juicy. Once the roast is cooked, it takes just a few minutes to shred the beef and add the sauce. 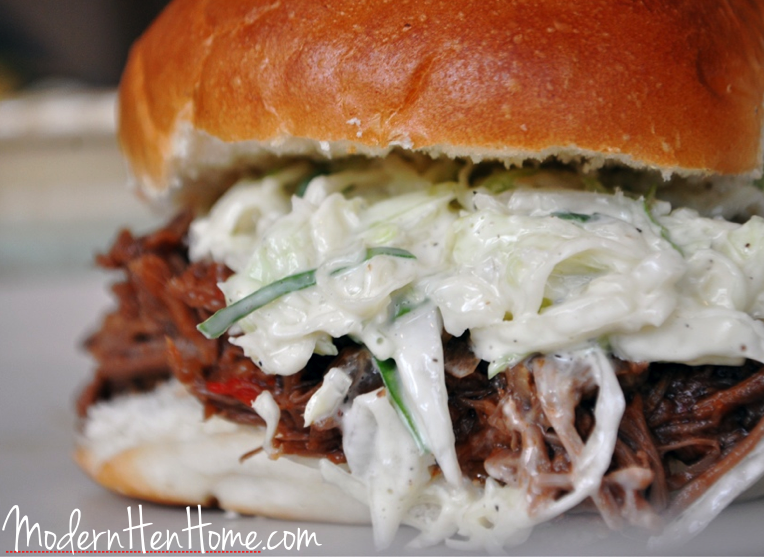 Pile beef high on a soft, freshly baked bun, and try it topped with a heaping mound of Old-Fashioned Coleslaw for a cool, creamy crunch. 1. Place beef roast in slow cooker then add peppers, onions, crushed red pepper, onion powder, garlic powder, salt and water. 2. Cover and cook on high for about 5 hours, or on low for about 8 hours, or until meat is tender. 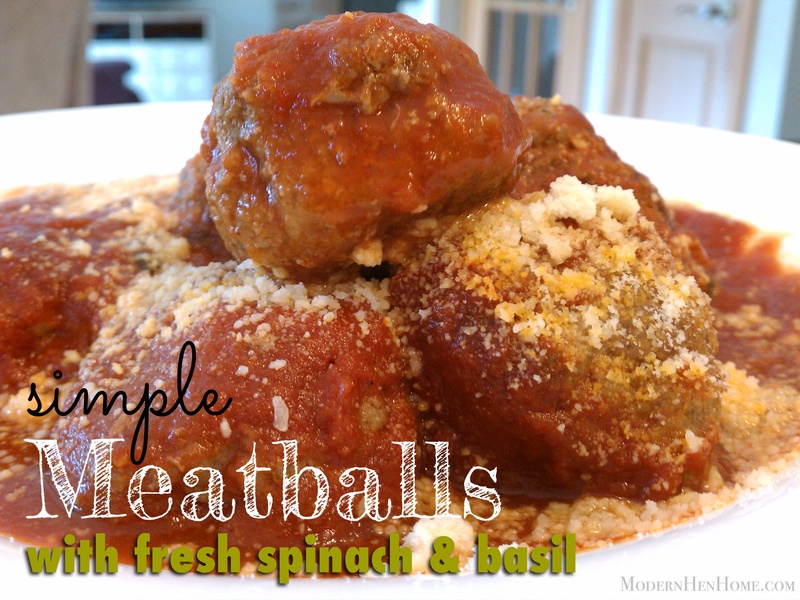 Remove meat; cool slightly and remove fat from the beef and skim from cooking liquid. 3. Shred beef with two forks and return to slow cooker. Mix with cooked vegetables and add a liberal amount of barbecue sauce to cover the beef and combine well. Cover and cook for 15 minutes or until hot. Serve on bun with coleslaw, peppers or pickles if desired. 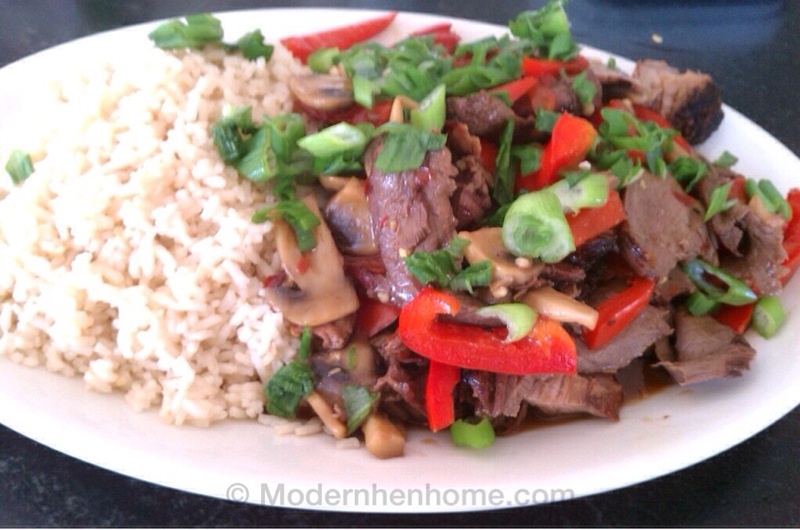 This Asian Beef dish is delicious and one of my favorites to make because it’s easy and tastes like I just picked it up from our favorite Chinese restaurant. You only need 30 minutes to prepare it. Slicing the meat and peppers thin is key to cooking and getting it on the table quickly. If you choose to grill the meat, slice it thin just before adding to the cooked vegetables. Another option is to wrap a small portion of the beef mixture in a warm tortilla to eat fajita-style. I warm tortilla’s individually in the microwave for 12-15 seconds at the same time I call family to the dinner table. In a small bowl, combine soy sauce, sherry, sugar, vinegar, red-pepper flakes, and cornstarch. In a large skillet, heat 1 tablespoon oil over medium-high. In two batches, cook meat, undisturbed, until browned on one side, about 2 minutes per batch. Transfer to a plate. Add 1 teaspoon oil and mushrooms to skillet and cook 2 minutes. Add bell peppers to mushrooms, stirring until peppers are crisp-tender, 2 minutes. Add garlic and cook until fragrant, 30 seconds. Whisk soy sauce mixture and add to skillet along with steak. Cook, stirring until sauce thickents, 1 minute. To serve, spoon beef mixture over rice and top with scallions or green onions if desired.